We here at Creative Safety Supply pride ourselves in offering free safety and lean resources through blogs, posts, podcasts, and infographics; in our efforts to educate and inform, below are workplace safety and Lean manufacturing websites we recommend. Bill Weider is an expert in Lean and founder of P4 Lean Strategy. 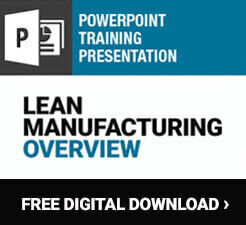 His website offers resources, expert advice, and some fun Lean manufacturing posts. If your facility is going through a Lean transformation or considering implementing some Lean tactics, explore his articles to understand the basics and get some tips to make your business Lean and efficient. Here are some of my favorite articles, check them out! And if you are still on the search for valuable and free resources, don’t forget to check out our blogs, infographics, articles, and podcasts.